Fourteen-year-old Sam McLean is less than thrilled with the prospect of moving to a collection of old mansions on the northern fringe of a small town called Ringwood. A nobody at his old school, Sam is desperate to be accepted by the cool kids and latches on to Cody Barns, aka Maniac. Cody's claim to fame is performing wild stunts - the crazier the better - and posting them on his blog. 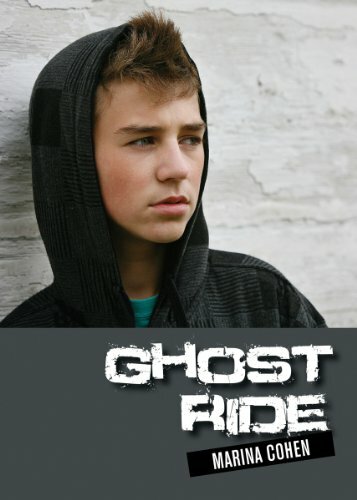 When Sam reluctantly joins Cody and his sidekick, Javon, on their midnight ghost riding, a practice in which the driver and passenger climb onto the hood of their moving car and dance, something goes terribly wrong. Cody convinces Sam to flee the scene, leaving Javon for dead. But soon mysterious messages appear on Cody's blog and anonymous notes are slid into Sam's locker. As Sam struggles with his conscience, a haunting question remains: Who else knows the truth? About Marina Cohen (Author) : I'm an elementary school teacher and writer of children's/YA fiction.